"Leavin' on a jet plane / don't know when I'll be back again..."
We all made it home to the crisp air of Big Sky Country. 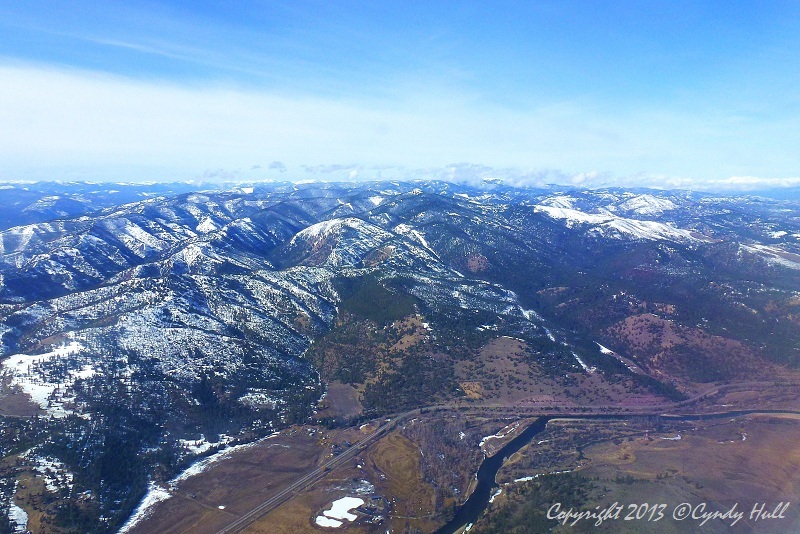 You're looking at the aerial view about 7 minutes from landing at Missoula International Airport. Wonderful people enlarge the world in all the best ways. I've come home far richer than if I'd had a typical Vegas vacation - & what happened in Vegas doesn't have to stay there! And the folks in Las Vegas are richer for meeting you. Your sister already misses you.